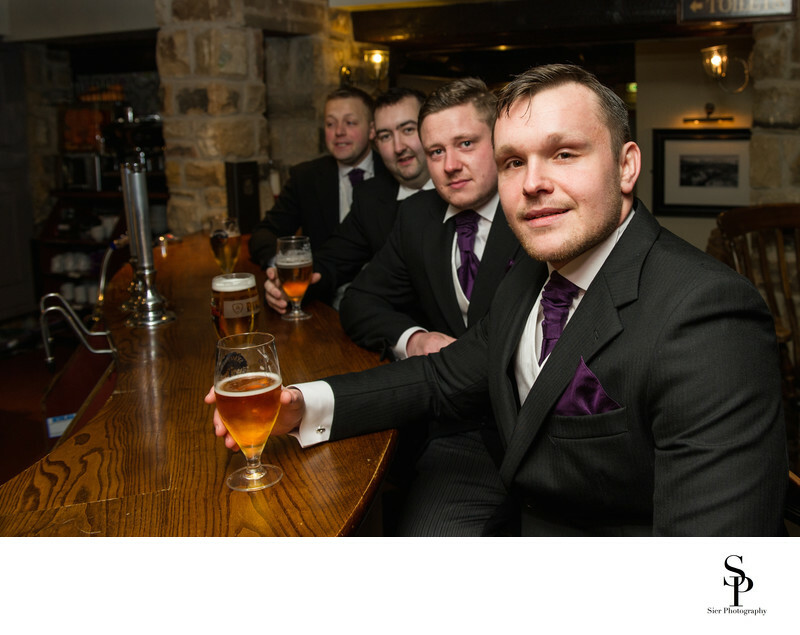 Groom enjoys a beer with his groomsmen before his wedding at the Peak Edge Hotel in Derbyshire. These chaps were the biggest bunch of jokers I've ever come across, the laughs never stopped all day as they constantly wound each other up relentlessly, all done in a fun way with no malice or unpleasantness, massive fun! This is one of the most memorable weddings we have been lucky enough to be invited to photograph. While all weddings are special in some way there are some which really stand out for one reason or another and this was certainly one of those. From our location in the South West of Sheffield we are just over a mile from the border with Derbyshire. Chesterfield is a matter of a few minutes away as is Hathersage, Castleton and Bakewell. We love to venture out here particularly when there is a wedding to be photographed at some wonderful venue, the Peak Edge Hotel is one such place. The Peak Edge Hotel is stunning and is set in a wonderful landscape. 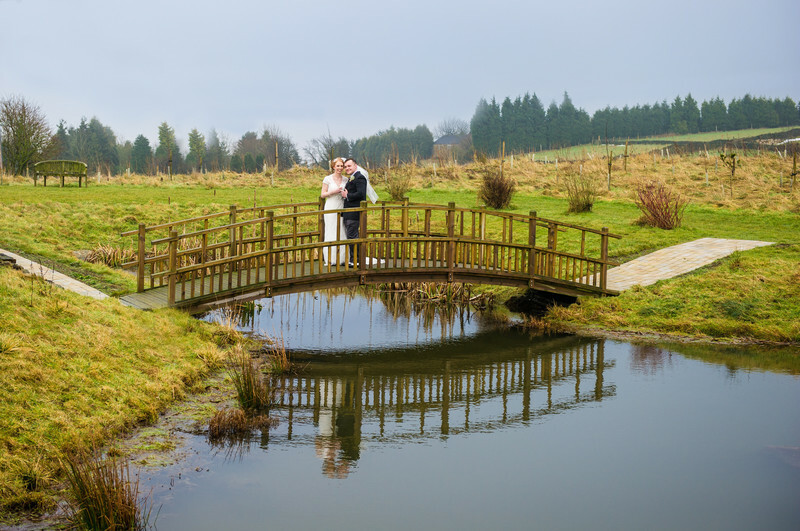 The grounds have a pond with a beautiful bridge over which is fantastic feature to add into a set of wedding day images and as the grounds continue to mature they can only become better and better. 1/160; f/5.0; ISO 800; 29.0 mm.